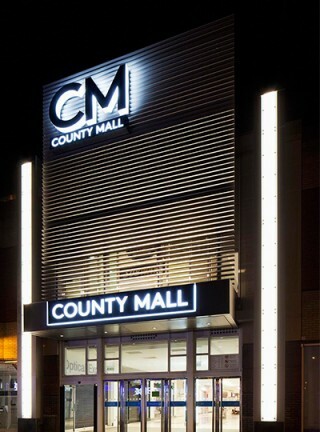 When we completed the architectural lighting design of the newly refurbished County Mall retail centre in Crawley, we had a feeling the attention wouldn’t be on the energy-efficient LED luminaires used throughout the store – nor would it be on the lighting that we cleverly concealed in coves and coffers. And even though we simply loved the Barrisol lighting we’d installed in the ceilings to provide soft yet bright light along the walkways, we knew that wouldn’t get much of a mention either. Not when there’s a flock of illuminated birds to look at! 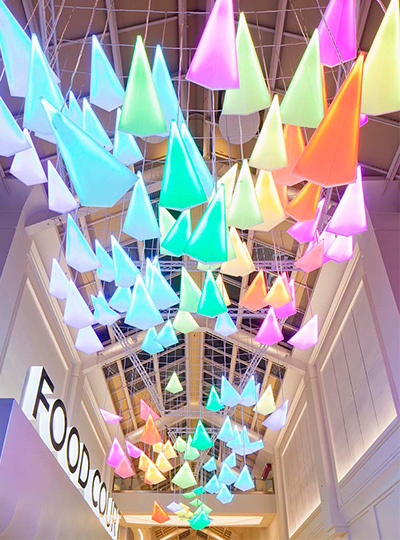 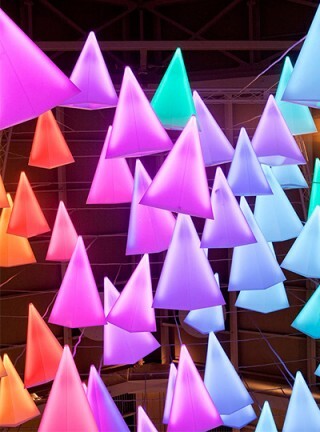 In addition to designing the exterior and interior lighting of the retail space, we were asked to create a feature light art installation. 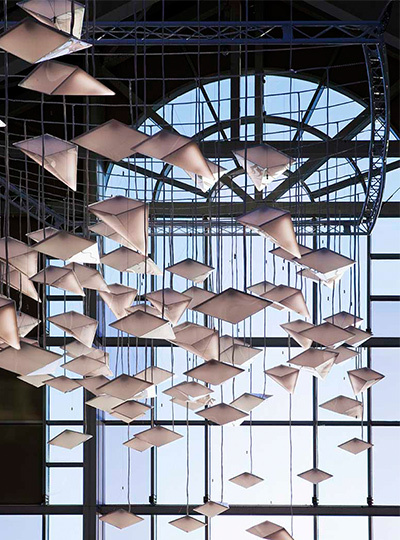 Our large, dynamic showpiece takes the form of a “flock of birds” in flight through the shopping centre’s lofty atrium. 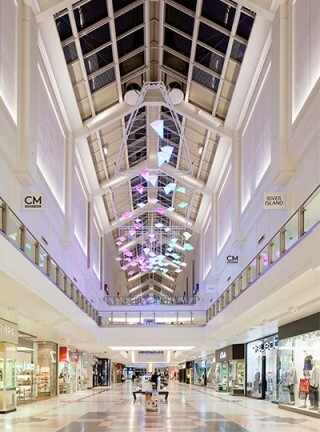 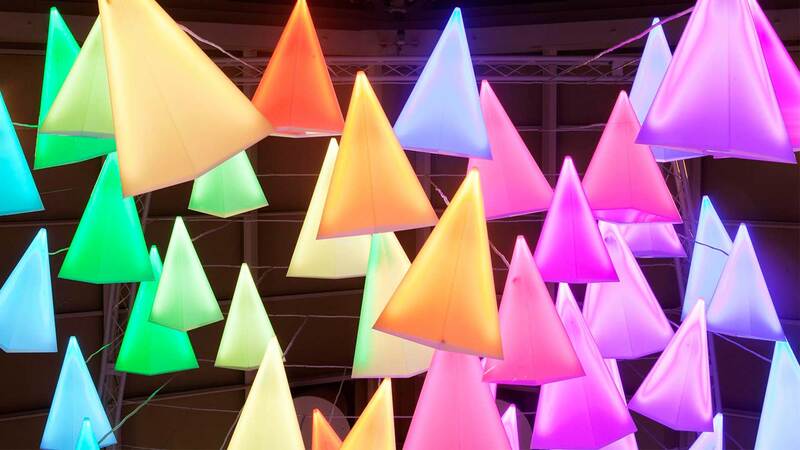 It pays homage to Crawley’s historic link with the aviation industry, and uses colour-changing LEDs throughout the length of the 125-metre sculpture to add a sense of movement and flight. To deliver on the requirement for a low-energy and low-maintenance installation, we used 30W LEDs for our “birds”. 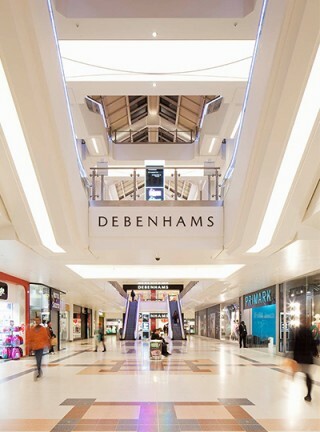 As a result, this attention-grabber can last for up to 100,000 hours. 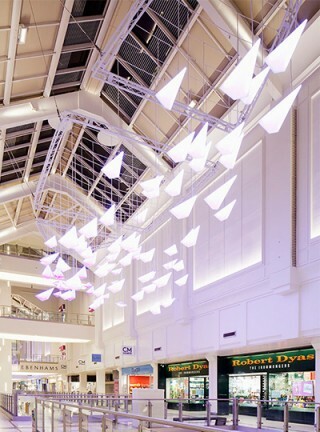 Creating the large, dynamic light art feature within such a uniquely shaped space while paying homage to Crawley’s famous aviation link.